Zeus has a home! 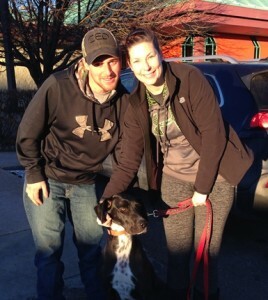 - Rocky Mountain Great Dane Rescue, Inc.
Zeus has a home with Shae in Bozeman, MT. Shae has always wanted a dane and has been waiting patiently for some time to wait for her perfect match. Zeus is going to have a 1 year old Chocolate Lab to play and romp around with and Shea and her boyfriend do a lot of hiking in Montana and can’t wait to have Zeus join them. Yay ZEUS! Charlotte and Eleanor have a home! Brutus 2 has a home!